At that time, the Gunpowder factory at Carrigtwohill was working to full capacity in preparedness of demand in the event of invasion. The Napoleonic war increased to possibility of another major invasion attempt by the French navy and as the English naval base had been moved from Kinsale to Haulbowline Island it was decided to build five Martello towers, improve defensives at other existing forts at Fort Carlisle and Fort Camden. This decision by the English to increase fortifications to defend against invasion on a large scale, a deciding factor in the selection of locations considered to be most vulnerable was the knowledge that the French had made previous attempts and also had similar strategic knowledge of the Irish coast, especially the South coast. Cork harbour was the principal British naval base in Ireland and although previously protected by large forts at the entrance to the harbour at Kinsale, Roches Point, Fort Camden and Fort Carlisle and Fort Westminster on Spike Island., the British set about to strengthen these defences. New barracks were also constructed and the important gun-powder mills at Carrigtwohill increased its production to full capacity in preparedness. A further advantage held by the French was the expertise knowledge of the Irish countryside available from the United Irishmen who were to accompany the invasion force. The English had many spies operating in France and sympathisers in the French Assembly, many in high positions that were in a position to slow down the process of allocating funds needed to equip the French Fleet for an invasion of Ireland. It is also reported that even Commanders of some of the ships had been bribed to set sail and “conveniently” lag behind or veer off course to hamper the agreed plan of invasion. Belvelly Martello Tower, East Cork courtesy NIAH East Cork Survey publication. 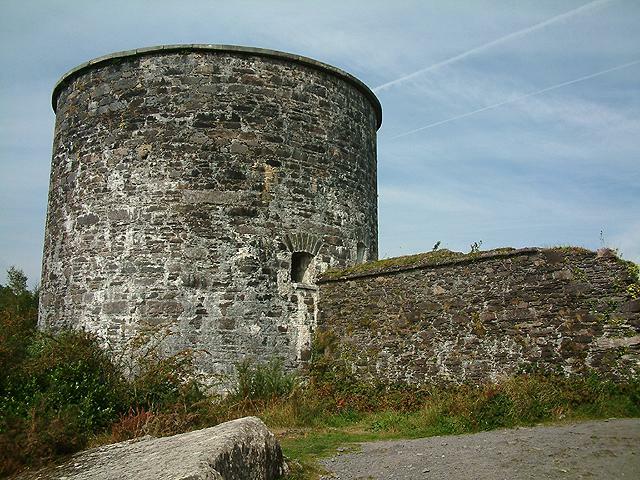 Manning Tower, East Cork ,built 1813 indicates even at that time the threat of an invasion existed in that region. 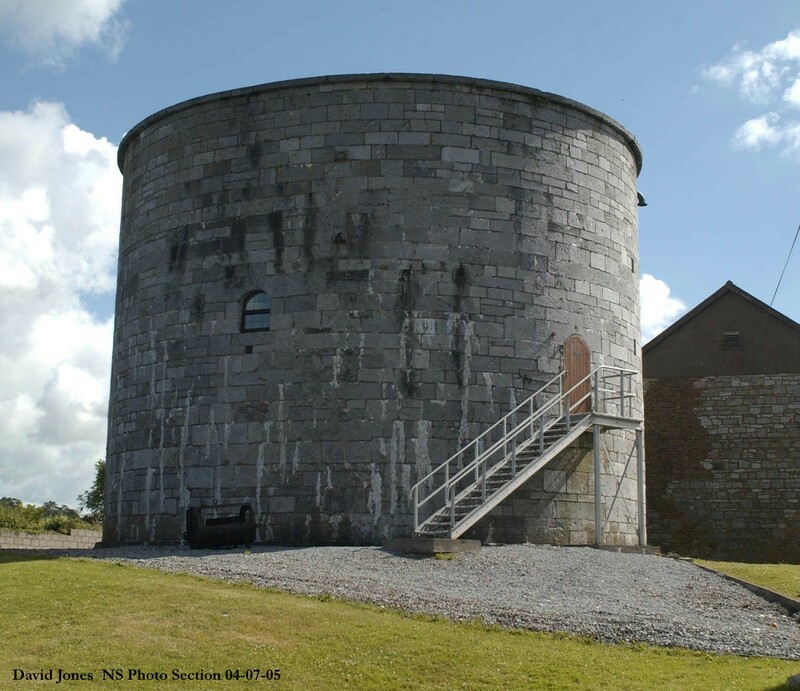 The first towers were built in 1805.Courtesy NIAH Survey East Cork. This tower came under came attack by the Fenian Brotherhood in 1867 under the command of Captain Mackay, real name William Francis Lomansey ,who died in 1884 in an attempt to blow up London Bridge. 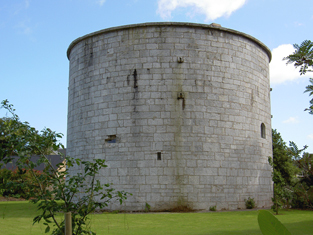 The attack by the Fenians was successful in that a large quantity of arms and supplies were taken and is the only known occasion that a Martello tower in Ireland or England saw action was captured. Three towers were constructed on the northern shores of Great Island at Marino Point, Belvelly and Rossleague and were capable of engaging any land threat to Cork harbour by an invading force. 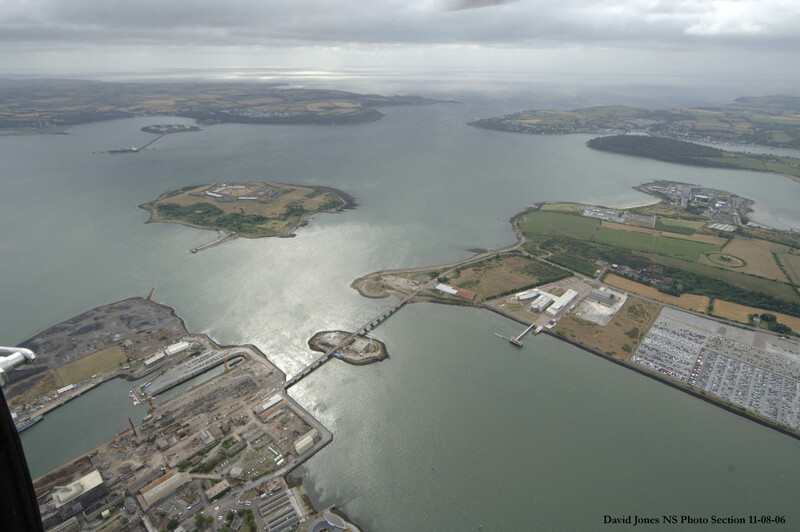 The Cork harbour was protected by towers on Haulbowline Island and at Ringaskiddy and the existing fortifications on high ground on Spike Island. These towers are strategically positioned to engage any ships that succeeded in getting past the defences at Camden Fort and Carlisle Fort at the entrance to Cork harbour. The first sailing club of its kind in the World was based on Spike Island up to 1806 when the sailing club moved to new headquarters on the mainland. 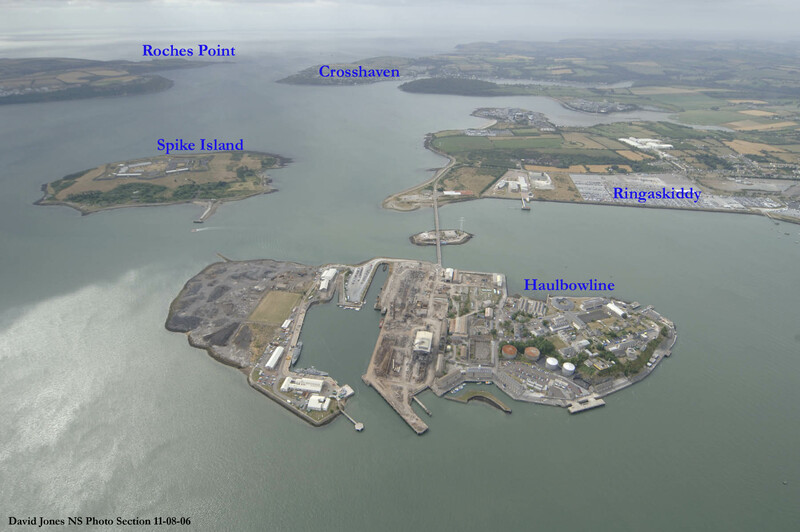 The British Army set up a new base on Spike Island and Haulbowline was handed over for use by the Royal Navy. The Cork Harbour towers were the last to be built in Ireland, circa 1813 – 1815, and the design is different than the majority of other towers built in Ireland. 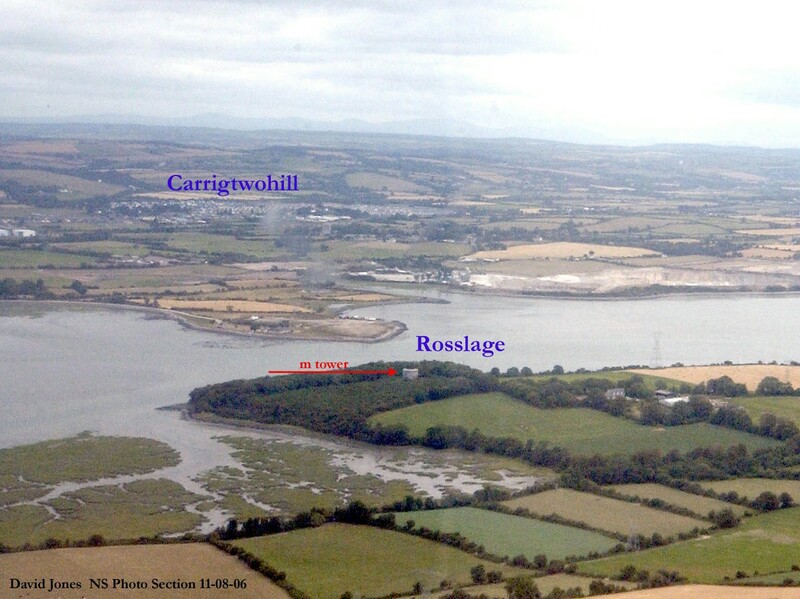 Rossleague and Haulbowline were oval shaped and the remainder had vertical walls. 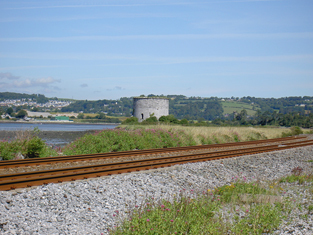 Three of the five Martello towers were positioned on the north side of Great Island overlooking the Belvelly Channel that runs behind Cobh from Little Island to Midleton. The Belvelly tower is ideally placed covering the bridge that was the only road across to Great Island. FORT CAMDEN AND FORT CARLISLE WERE STRATEGICALLY LOCATED AT THE ENTRANCE TO CORK HARBOUR. ANOTHER LARGE FORT, FORT WESTMINSTER WAS LOCATED ON SPIKE ISLAND AND SUPPORTED BY MARTELLO TOWERS. Haulbowline Martello Tower, located at the Irish Naval Base, Cork Harbour. As expected in their plan of Coastal defences, serious attention was paid by the British to improving defences at Bantry Bay and Bere Island where the French had previously attempted landings in 1796. Four Martello Towers were built on Bere Island with adjacent gun batteries emphasising the importance of protecting the safe haven enjoyed by the British Fleet at Berehaven. Further fortifications were built on Whiddy Island offshore from Bantry and another Martello Tower was built on Garinnish Island offshore from Glengarrif. The tower at Garinnish is reported to be the first to be completed in Ireland and prides the most beautiful location. 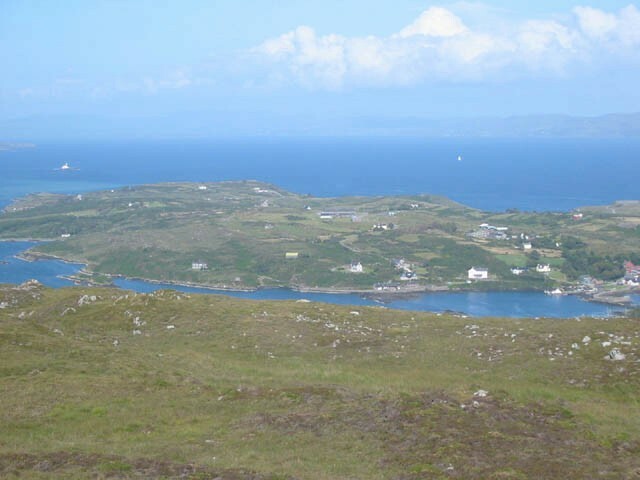 Of the four towers built on Bere Island in Bantry Bay, only two remain standing, one Tower is located on Ardagh Hill above Berehaven Harbour, where the visitor will have magnificent views of the Harbour and the east end of Bere Island, as well as Bantry Bay. Bere Islanders have teamed up with the Irish Government to restore this tower to its original state and use it as a military heritage centre and this includes a new road up to the tower. Videos and other displays in the tower will present the Bere Island’s military history to the visitor. 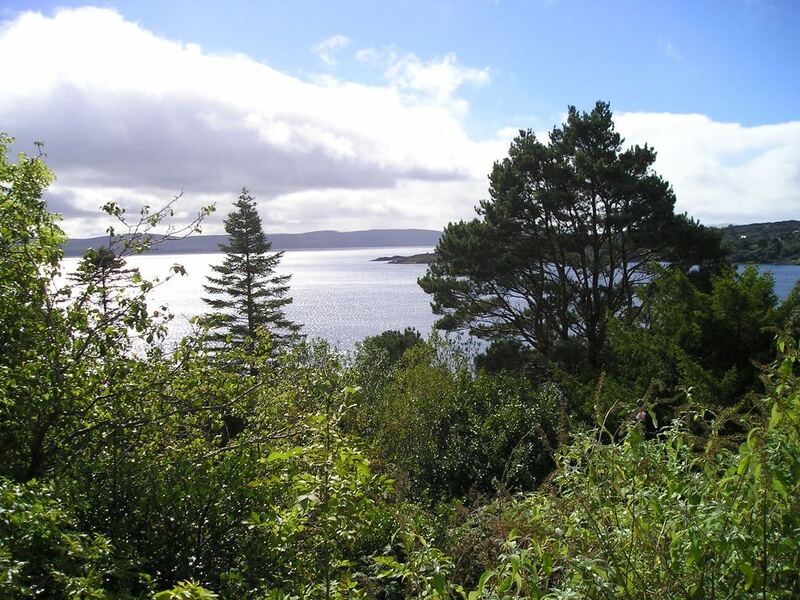 The other existing tower at Clochlann can be seen from this site and overlooks Bantry Bay. Ardagh Martello Tower, Bere Island. Now restored. 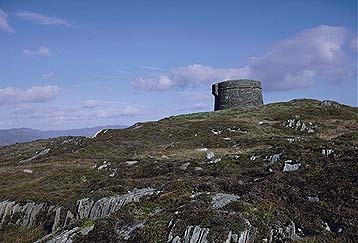 The Martello tower at Ardagh, Bere Island, one of four, commands a strategic position overlooking the Bay. The second remaining Tower on Bere Island is at Clochlann. Lonehart Tower, that overlooked Berehavan and Rerrin Tower no longer exist. The remains of six batteries constructed can still be seen. The English, included Whiddy Island in their defence plans for Bantry Bay and constructed 3 gun batteries on the Island to protect the port, each consisting of a circular tower surrounded by a deep fosse. Towards the end of the nineteenth century, the British reconsidered the need to increase the fortifications of Bere Island and Whiddy Island. By this time the British fleet came to Bere Island for routine maintainance and needed protection whille ships were at anchor. Seven gun batteries were constructed at the Ardaragh battery and at the larger Lonehart battery covering the north and eastern approachs to Bantry Bay. The batteries housed 18 large cannon and 200 soldiers with skilled artillary officers to man the cannon. Another three batteries were built to defend the western approach to the Bay, Reenduff, Derrycreveen and Ardnakinna. The Batteries housed 18 large cannon and 200 soldiers with artillery officers to man the cannon.. In 1918, during World War 1 the Americans built a seaplane base on the island to keep watch for German submarines and protect shipping. The base was closed in 1919. Check out very comprehensive website on Bere Island Defences. Well done.